A couple of weeks ago, I sat with three ladies (and a little girl) enjoying the surroundings of Tropical Smoothie, a Caribbean-inspired sandwich & kind-of-healthy fruit smoothies cafe. And as each of them shared why they signed up to join me on my next Haiti mission trip (end of April), I remembered why I LOVE taking people to Haiti. Because the guys at Men for Missions (the short-term mission teams ministry of One Mission Society) have got it spot on: these trips are part of a life-changing journey, and Storly and I love walking alongside people as their eyes are opened to 'the real world' (the poverty, the daily reality of how most of the world lives), as they allow God to take them way beyond their comfort zones, and as they see God in action in a different context, in ways that blow their minds and break their hearts for the world God loves and came to save. My next trip at the end of April will be the 8th team from our church here (Community Church of Columbus) since we took up residence in this part of the world. And three of us from CCC (Keri, Karen and me) will be joined by Kelly from Columbus (who was part of last year's trip) and four people (Larry, Debbie, Michael and Amy) from Findlay E-Free church in northern Ohio (who partnered with us with their Christmas offering last year to give to Resounding Hope solar radios). In June 2011, our CCC team visited a small village called Kayemit (Ky-meet), named after a local fruit tree, known in English as Star Apple. I'd been hearing about this village from Medson (our evangelism/radio distribution leader) as a place in need of the Gospel. A pastor from the local town of Quartier-Morin had started to visit this village, saw people's needs there, and felt called by God to start a work there. Our team was happy to be a part. So, to Kayemit we went. After Luke, Devin, Randy, Tim, and Ken helped fix a flat tire on the van. We gathered under the shade of a huge tree with Pastor Deusma, Medson and evangelism team, and others from Pastor Deusma's church in Quartier-Morin. We prayed, got instructions on the day's activity (like 'don't randomly give the radios out on the street, only after conversations with people about the Gospel, preferably in their homes or yards', and 'each radio is for the whole family or household, unless you visit with a witch doctor or voodoo priest, then give them one for themselves'). And then we split up, two or three visiting team members, a translator, an evangelism worker and a local guide who knows the community and can direct the group to homes and people most in need of the Gospel. I usually hover around trying to spend some time with each of the groups, taking pictures, observing, sometimes helping with translation and interpreting some of the cultural stuff that doesn't always get translated effectively. 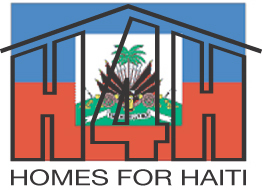 So I started with Ken and Kellie, good friends of ours who had taken a huge step outside their comfort zones to come to Haiti. And there were more steps of faith to come. Though we couldn’t see the red and blue flags usually identifying where a witch doctor lives, there were other objects, including a bottle hanging from a tree (used in voodoo ceremonies). So here we are, on the front lines of the spiritual battles that rage across the earth. This time, in Kayemit village in northern Haiti. About 800 people call Kayemit home. But in the eyes of Emmanuel Félix (Medson), Radio 4VEH’s Extension Ministries Director, this is ‘virgin territory.’ With no real church presence in the community, the voice of influence belongs to the witchdoctor. Until today. At the witch doctor’s house, he’s not home. But we speak with several members of his household, as well as another man visiting. We leave a solar radio for the household, and one for the witch doctor. Next door, the witchdoctor’s niece combs through her daughter’s hair. When asked about her own faith, she replies she’s a good Catholic, and also dances at the voodoo ceremonies held regularly by her uncle. She wasn’t ready to accept Christ as her personal Savior. By the end of the outreach, 51 radios were given out after 70 people heard personal presentations of the Gospel. Three people prayed to receive Christ as their Savior, and 37 people refused Christ. But now there’s a new voice of influence in Kayemit—Radio 4VEH, The Evangelistic Voice of Haiti—the voice that speaks about Jesus through all kinds of radio programs. Fast forward two years, to June 2013. We took the Columbus team back to Kayemit, wondering what had happened to those Gospel seeds that had been planted and watered every day through the little radios, and the pastoral care of Pastor Deusma and those working with him. What a privilege to be standing where a new church has been planted―where the physical space, starting with a few sticks and plastic sheeting, is showing the village that there's a new body of Christ-followers in this place. Back to the story I was telling at Tropical Smoothie. It was this scene above. One of the highlights of our whole summer in Haiti was this moment when the team prayed for this new church, this pastor ministering in this village, for the new believers here. And the person praying was Kellie, the one who was never comfortable praying out loud. And here she was, praying a prayer of blessing in front of team mates, villagers, friends, and strangers―praying a prayer to her heavenly Father on behalf of these brothers and sisters in Kayemit. Being alongside people on their life-changing journeys is an absolute honor. What's your life-changing journey look like? And who are you walking alongside of on their stepping-out-in-faith, stretched-by-God journey way beyond their comfort zones? If you’d like to join us on a life-changing journey, click here for opportunities. I'm excited to tell you of a tremendous opportunity to double your impact in Haiti through our Christmas Matching Gift Challenge that we're launching today. A generous donor has pledged to match every donation given to Radio 4VEH broadcasting during December, dollar-for-dollar, up to a total pledge of $40,000. This means your donation during December is doubled to produce and broadcast twice as many life-changing radio programs to impact people in Haiti. Click here to make your donation to Radio 4VEH Broadcasting # 469960 by credit card today through One Mission Society. Your support of Radio 4VEH is a lifeline of hope. Your support will help keep Radio 4VEH on the air as a lifeline to people across Haiti-whether they are facing life-and-death situations, seeking answers to questions of faith, or just battling through the challenges of everyday life. 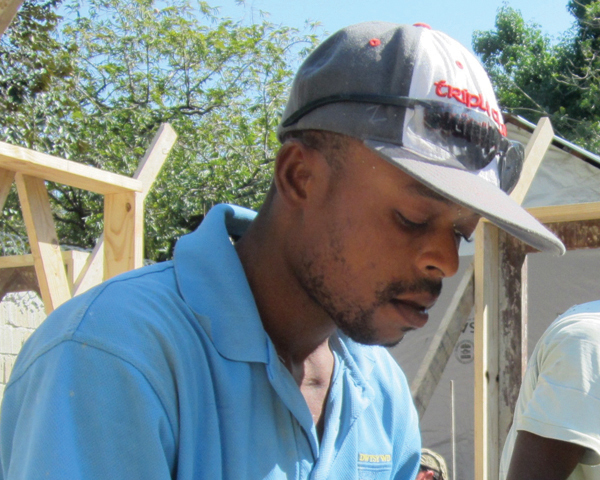 Your donation today will help produce and broadcast life-changing radio programs in Haitian Creole and French, including Bible teaching, worship music, news, weather warnings, farming advice, and life-saving messages like, "Wash your hands to prevent deadly cholera." Thanks to our Christmas Matching Gift Challenge, your donation will be matched dollar-for-dollar, up to a total match of $40,000. This means, as the Lord enables you, your donation of $50 to sponsor one hour of broadcasting will become $100 to cover two hours of life-changing broadcasts. If you're able, your gift of $1,200 to sponsor one whole day of broadcasting becomes $2,400 to cover two days of radio programs. Please help us meet this Matching Gift Challenge by making your donation today. Your gift by mail or given online by Dec. 31, 2013 will be doubled as part of the Matching Gift Challenge. By God's grace, and with your help, we hope to raise $40,000 by Dec. 31, 2013, to receive the full amount of this generous matching gift. 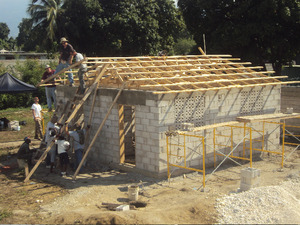 Please pray and give as generous a gift as you can to change people's lives in Haiti. The answer is no, but it is not an exuberant “no,” it is a sobering “no,” with the realization that my reality is not what the majority of the world’s reality is on a day-to-day basis. Access to education, medical care, clean water, a home, clean clothes, shoes on my feet, food in my belly are all a matter of choice for me, often a luxury. For the rest of the world, what I consider a choice or luxury is just a matter of survival, and that just makes my mind wonder … why? As I journey through my life as a Christ follower, I believe He reveals this kind of thing to me for a couple of reasons. First, to bring to my mind all of the blessings I have in my life like my home, clothes, and clean water. Second, recognizing an alternate reality causes me to think differently about what I have, what I want, and what I actually need. Thoughts like this stretch me and bring me to what I desperately need, a change in my attitude. An attitude of thankfulness and gratitude is the third reason I believe the Lord reveals things like this to me. Living with an attitude of gratitude changes my perspective. It takes the focus off me and puts it where it should be … on the Lord. He is worthy of all the glory, honor, and praise. Happy Thanksgiving! Is God calling you to be a missionary, either on the front lines or in a support role? View all of the opportunities how God can use you to be a missionary. Contact Brent Morrell at 317.888.3333, ext. 391 or bmorrell@onemissionsociety.org for more information. Kenel Clovis Claudion, a professor in elementary school, was recommended by Pastor Exalus of Port Margo mother church to be a church planter. He planted a station at Bois Gauche in the area of Port Margo. They meet in the courtyard of the parents of Luxima Cassandra. Trainer Janiel has trained Kenel for three years. An Uncle of Kenel died through magic of Voodoo. The same people who killed his uncle wanted to kill him also. After Kenel’s uncle died on Wednesday night 17 August 2011, he was sleeping. He woke up suddenly as if a dog had barked. He said “Lord, take control of me”. Some minutes later he felt his body had been hit hard on his left leg. He cried “Hallelujah, Hallelujah! When he got up in the morning his left leg was swollen and very painful. These same events happened also the nights of August 19 and 26. He thought he was going to die. He talked with his Trainer Janiel so he could pray with him. They PRAYED! After this the attacks ceased. At this time they were studying the building of the wall by Nehemiah from the Train and Multiply booklet # 20. Kenel came to realize that even though the enemy was persecuting him he needed to stand fast in his faith. God was working for him. He has married and continues in the ministry. There are now 38 people attending the Bois Gauche Station meetings. Kenel has trained a young woman, Luxima Cassandra who has planted a station at Bertin with a mother and four children who to this time have not yet accepted Christ. She is also training Doudalande. God continues to multiply disciples through the lives of His faithful servants.